Like it or not, E-bikes are not going to go away. For those of you reading this, you’ll probably fall into one of the two, polarised, camps on this issue and be happy about that or not. Increasingly we’ve found that this year’s long season of press launches and camps have been including an e-MTB in the mix, and Specialized was no different. 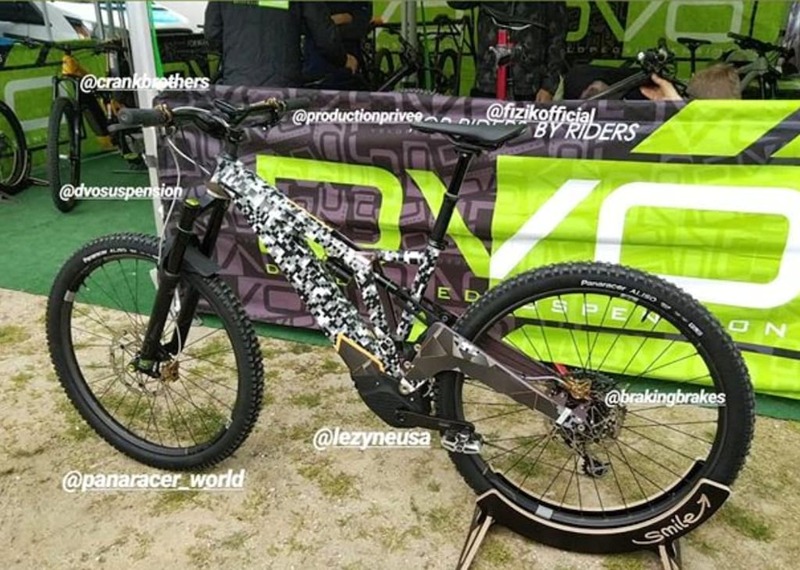 At this year’s Specialized Summer Camp where we learned of the non-FSR Epic, an awful lot of time, energy (pun intended) and testing was also given to their Levo range and one of the stars of that launch was the Turbo Levo Carbon. The money, time, research and marketing that is currently being ploughed into the e-MTB market is phenomenal and is an indication that the bike industry certainly is pinning a great deal on their growth, development and acceptance. 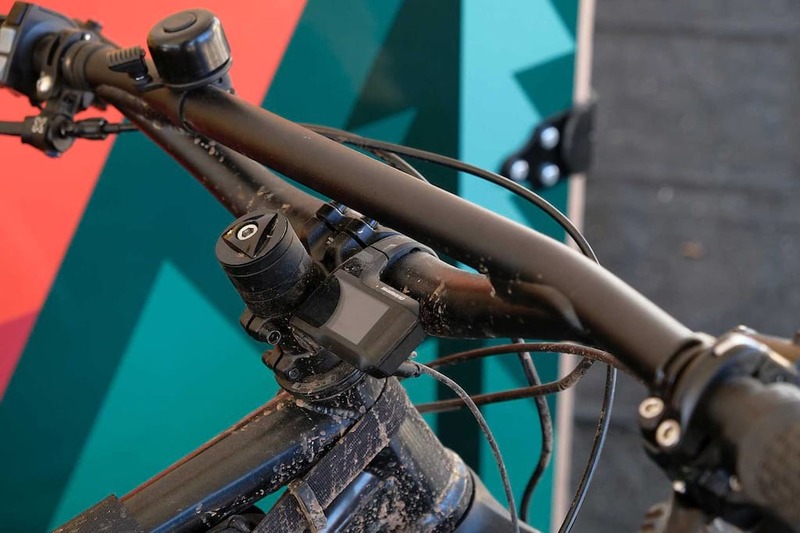 If you think there are too many e-MTBs around already then get ready for the second half of this year – you are going to hate it. But for the rest who are keen to explore this new aspect of riding bikes off-road? You ain’t seen nothing yet. But first, lets see what Specialized have done with their Turbo Levo for 2018. The headline carries the major development – Carbon Fibre. The new Turbo Levo Carbon naturally sheds about 650g (1.5lbs-ish). That brings it down to the dainty total weight of around 23.86kg (52.5lbs). But it does have a 250w motor to help with the heft – a motor that has an upgrade since the last one we saw on the 2017 Levo we featured in FGF here. But the new carbon isn’t just about shaving a few percent off the weight – Specialized are claiming a huge increase in frame stiffness as a result of the material change. The motor on the 2018 models (there’s just the one motor for the Levo no matter what model in the range you pick) is the Turbo 1.3. Notice how we are starting to use more techy, software inspired model names now that your bike can receive an update like your phone. The 1.3 motor promises better efficiency, better heat dissipation and more power. That last part is of particular interest since all e-bike motors in the EU have to be power limited to a maximum of 250w if they are to remain classed as a bicycle. So what does more power mean for this 1.3 motor? Well, that power needs to be limited by software, clearly, but it does come into play when combined with all the clever tweaking and app meddling you can do to tune this motor to how you want it to perform – more on that later. Specialized has used better neodymium magnets in the motor and thought very carefully about the heat generation issue, which was a particular issue with the carbon frame as they couldn’t now use the handy heat conducting properties of the alloy frame from the standard Turbo Levo. They did this by using what Specialized refers to as ‘thermal pads’ which are placed inside the motor unit to evenly distribute the generated heat from the motor. There’s also an external thermal pad that helps the heat along and out to the open air. Another rather unique component of the Specialized motor (Did I mention that Specialized build their own motors in house? They don’t use the ubiquitous Bosch system or Shimano’s Steps motor), is the fact it uses a belt drive system inside. Check out this little video for a look at the internals. The belt drive is a major contributing factor to how quiet the Specialized motor is compared to the more common motors from Bosch. The Yamaha motor system in particular is embarrassingly loud. The third feature that helps with the power delivery and new motor efficiency is the software that runs the motor. Not only the onboard software but the Specialized Mission Control app that is available in either iOS or Android flavours. You see, the way Specialized has diverged from other eMTB manufacturers is they have a clean cockpit. There is no movie sized monitor (Bosch) and not even a display to indicate what power mode you are in (Shimano Steps). What you have is a simple bluetooth (so no cables) button with an up and down arrow for moving through the three power options. Interestingly there isn’t even a no power mode, so you don’t get the option to pedal the bike unassisted unless you just don’t turn the system on at all. But trust me, you really wouldn’t want to do that. See weight of bike above. There’s a subtle ‘beep’ on each press of the two buttons and a small LED flash so you know something has happened, but if you want to know how much juice is left in the battery you need to glance down at the LED display on the side of the downtube, around the power button. As for which power mode you are in? Well, presumably you feel it – and you will very quickly come to learn them by feel too. But, if you really want to get inside the system and not only see what is going on but also tune it in a multitude of ways then you need to get the app on your phone, or have an ANT+ spec’d device like the Garmin Fenix 5, Forerunner 935, Vivosmart3 or Garmin Edge 520, 820 and 1000. All those devices are compatible with the Specialized motor system to one degree or another. In Eco mode it will add 25% power to the power you are putting in yourself. In Trail that goes up to 50% and in Turbo it matches you watt for watt. So if you are putting in 100watts in turbo mode the motor will also add 100watts. If you knock out 250watts it will add it’s maximum permitted output of 250watts. As you can see, if you dawdle and barely stroke the pedals the motor isn’t going to be of much help to keeping you moving. In other systems Turbo modes it’s more common to find that it just belts out the maximum 250watts so long as it detects you are leaning on the pedals, even slightly. Now, that’s just the out of the box settings. The Mission Control app allows you to tweak all those numbers how you see fit. Bring all the numbers down and not only will you be putting more effort in yourself but you’ll also extend the range of the battery. So you can manage and tweak the power settinsg to match your ride, route or just how you are feeling on a particular day. If you want more miles you bring the levels down. But there’s more. You can let the app take control completely of the power systems. Tell the system how long your ride is and the app will control the power levels to make sure you have enough juice to get round the whole ride. Other clever tricks include a tracking system to allow you to share your routes with other Mission Control users around the world and there’s even an inbuilt power meter (A clever reuse of the fact all motors have a sensor to detect how much power you are inputting so so it knows how much to add on top), which you can use via the app to measure how much effort you will surprise yourself you are adding in the mix. Oh and one last feature is the self diagnosis system. When you power up with the app it will let you know if there’s anything amiss with the motor, electronics or the battery capacity – all handy when you take it in for a service. You can even send diagnostic data to your local Specialized Turbo Levo dealer. Yeah, that’s a new aspect to eMTBs we are going to have to get used to, unless you are an electronics engineer. But is it good at being an actual bike? The only thing this bike doesn’t do is actually talk to you like Siri or KITT (lets see how many of the ‘kids’ get that reference). But the whole point of all this tech is to let you have fun on it out on real trails. It’s geometry and all that old fashioned mechanical stuff that’s going to deliver that. 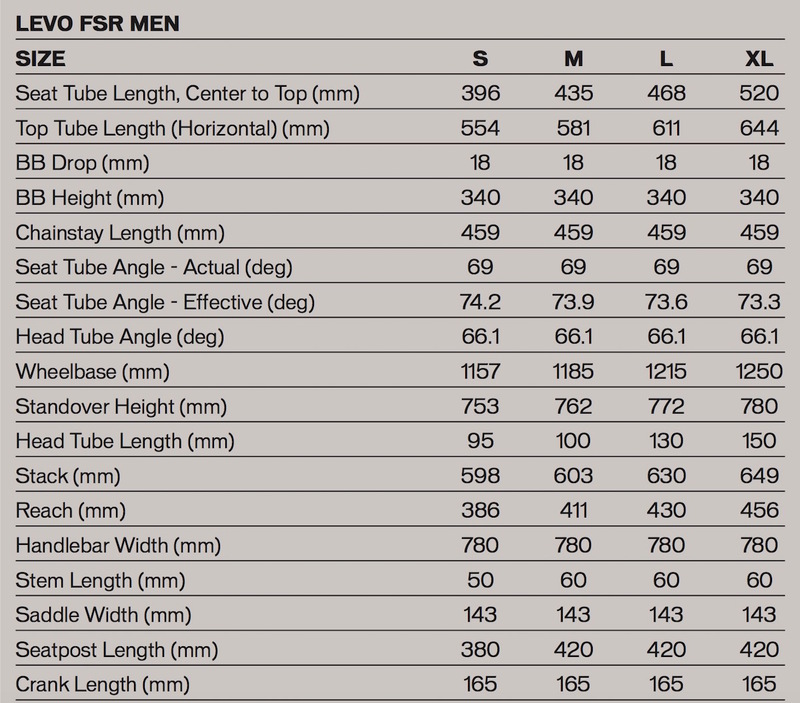 To answer that I’ll quote what Specialized have declared on the matter. At the Specilaized Summer Camp back in June we got the chance to spend a day riding the Levo range in a New jersey bike park. 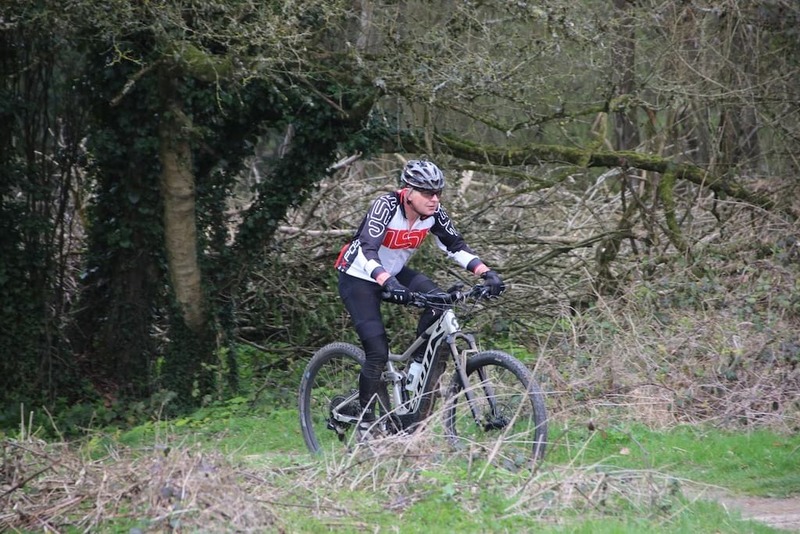 It was enough to get an initial feel for the bike and it’s true that the bike does feel like a ‘normal’ trail bike. Eco mode is enough to allow you to almost forget that it’s an eMTB at all – it’s just enough power to offset the weight penalty, although you do still notice that weight in tight berms when yo need to switch from one lean to the other rapidly. The shortish chainstays are an accomplishment considering what needs to be accommodated around the BB area and they do add to handling of the bike. The 150mm forks are beefed up along with the SRAM Guide brakes, which definitely work for their living dealing with the mass of this bike and the power it can put out. It was certainly fun and doing laps of a bike park where you could have a blast beating the gondola uplift back to the top just added a whole new level of experience to a day out on a bike. And yes, at the end of the day I was utterly knackered. Not even an eMTB can stop that happening if you are having so much fun you end up riding more than twice as far as you would otherwise. We will hopefully have a Turbo Carbon Levo in on test for a longer period very soon and we’ll be reporting back with our longer term experiences of this bike. 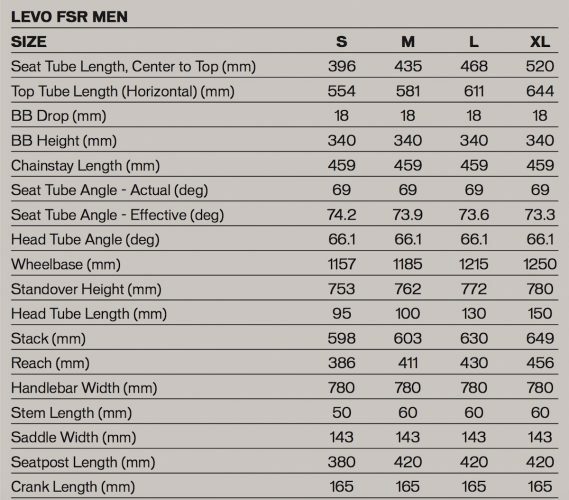 So lets have a look at the complete range. 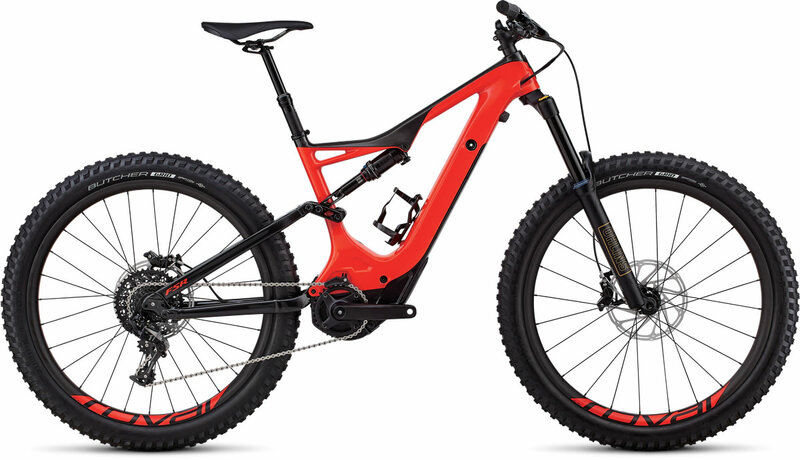 Check out the Specialized website for the complete range including a hardtail version of the Turbo Levo. 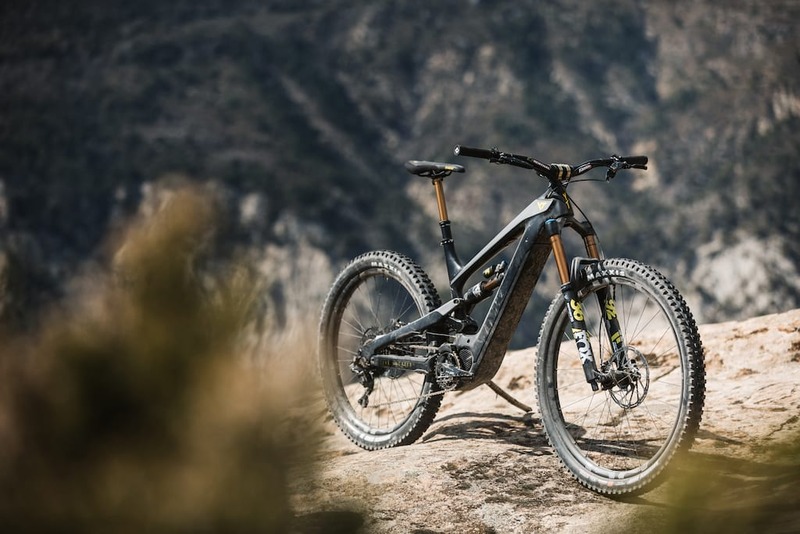 e-MTBs are going through exceptionally rapid development right now and the Turbo Levo does represent the next step in that path. There obviously will be many more steps to take but I predict those steps will come thick and fast as we move into new areas for development and pricing. The cost of batteries used in electric cars is already plummeting and since it’s the technology in both the motor and battery development areas on electric cars that can be seen trickling down to eBikes it’s pretty clear that e-MTBs are going to get cheaper, smaller and much more common very quickly. I’ll also agree that Specialized has indeed approached this bike from the point of view of building a trail bike first then working out how to electrify it – it does ride better than pretty much every e-MTB I’ve ridden to date. It’s clear to me that Specialized can see that future and they are working pretty hard to be ahead of the curve. And it’s great to see a company not just slap a motor on an existing bike model but actually take time out to look at not just the technology itself but how riders are starting to use and will use this technology now and in the future. As a result what we have in the Levo is an e-MTB that actually works as a new kind of mountain bike rather than as a compromised mountain bike hobbled by the bulk of a massive battery and poorly thought out motor system. Other motor and bike manufacturers take note – There’s some catching up to do.